Elaborate Throttle Shaft Rebuild Kit for Solex 34 PICB Carburetors. 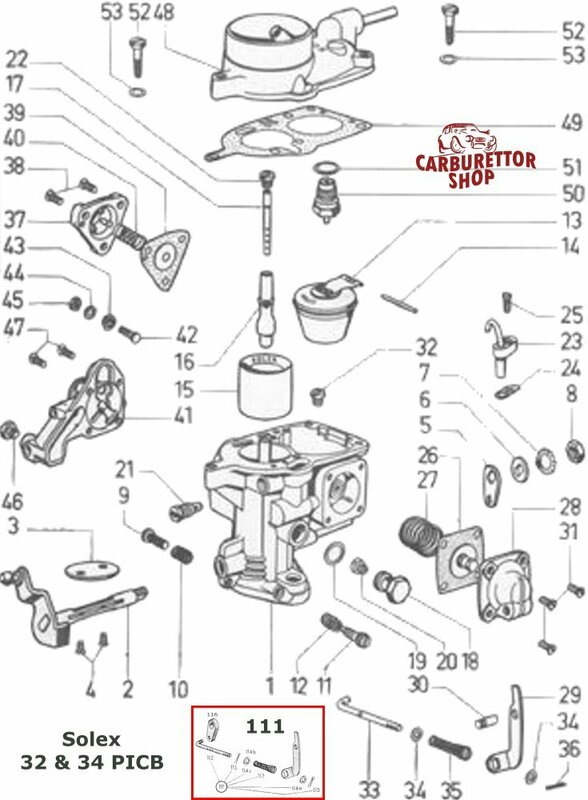 This is an elaborate kit to replace the throttle shaft in your Solex 34 PICB carburetor. It consists of the number 2, 3 and 4 in the drawing.